A five-judge constitution bench headed by the Chief Justice Dipak Misra will commence the much-awaited hearing on the constitutional validity of Aadhaar cards on Wednesday. The landmark hearing comes five months after a nine-judge bench of the Supreme Court ruled that Indians enjoy a fundamental right to privacy, that it is intrinsic to life and liberty and thus comes under Article 21 of the Indian constitution. The other judges in the bench which will hear a clutch of petitions are justices A K Sikri, A M Khanwilkar, D Y Chandrachud and Ashok Bhushan. The nine-judge bench had not dealt with the validity of aadhaar cards and had left it to another five judge bench. It had merely directed the government set up a fool-proof data protection regime. The 12-digit unique identification number backed by biometric data is being opposed by many petitioners led by Karnataka High Court judge K. Puttaswamy, and social activist Aruna Roy on grounds of privacy and security violation. They argue that details for Aadhaar are collected by private contractors and NGOs hired by UIDAI without any safeguard makes them prone to misuse. They claimed empirical research to show that the biometric identification denoted for UID, namely the iris scan and finger print identification, is faulty and is also capable of being abused. The mandatory order to link Aadhaar number with mobile number and bank accounts which were subsequently issued are also under challenge. On December 15, as an interim order, the constitution bench headed by Chief Justice Dipak Misra passed a judicial order extending dates for all linkings including Aadhaar-mobile number to March 31, 2018. Earlier the deadline for linking mobile number to aadhaar was February 6. Government had referred to a notification issued by the Ministry of Finance which had amended the proviso to Rule 9 (17) (a) of the Prevention of Money Laundering (Maintenance of Records) Rules of 2005 to remove the December 31 deadline. The notification also had substituted Rule 9 (17) (c) which said bank accounts would cease to operate if they were not linked with Aadhaar by December 31. 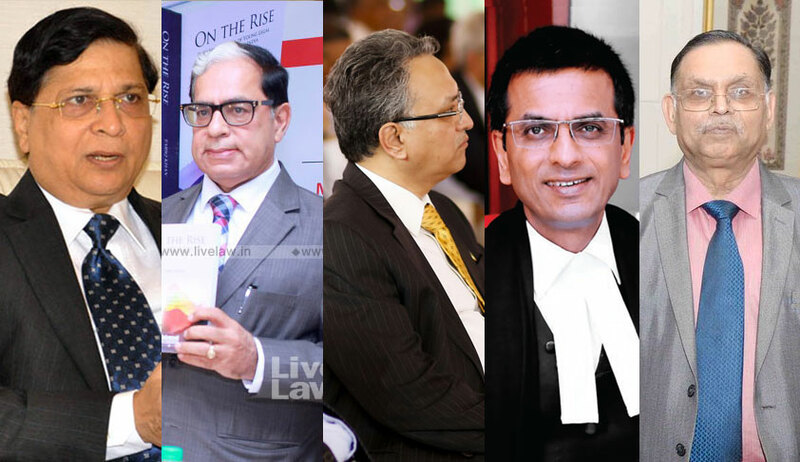 Leading the arguments, senior advocate Shyam Divan had argued that a new law to give statutory backing to the unique identity scheme could not overrule the court's earlier orders that Aadhaar can be used only on a voluntary, consensual basis. AG had countered that the law had overruled all earlier court orders. "An Act is in place, it is a complete code by itself," he claimed. Senior advocate Arvind P Datar pointed out that the Act itself provided that Aadhaar was needed only if a citizen was interested in any benefit, service or subsidy chargeable under the Consolidated Fund of India. Insisting on it for issue of even death certificate was "over-reach", "beyond the law, ultra vires", he argued.